When will I get my order? : It takes 1 week to create your fresh cookies order. Shipping timing is additional. (Click here to calculate shipping timing). If the map shows that your package will arrive in more than 2 days, please select 2nd Day Air to prevent chocolate from melting. 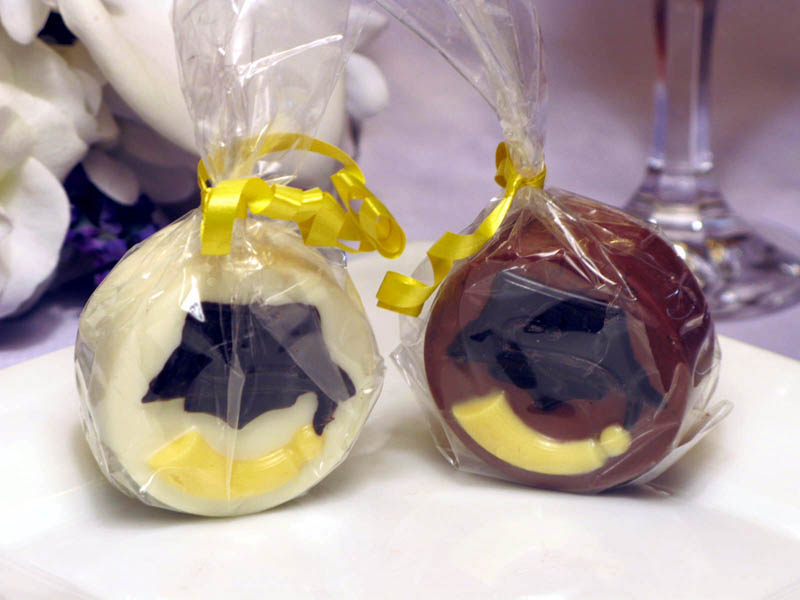 Who can resist chocolate graduation favors, especially if they are a dipped Oreo cookie. 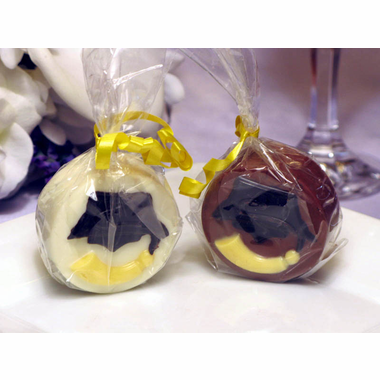 Cookie graduation favors start out as a scrumptious Oreo dipped in milk chocolate. There is a white chocolate graduation cap as part of the front of the cookie. Clear cello wrap bags cover the finished chocolate Oreo and a curling ribbon is tied on top. We recommend you order two weeks in advance of your event so they are produced and shipped within days of your event and also recommend you consume within 2 weeks for optimum freshness. Shipping time is additional. If the shipping map shows that your package will arrive in more than 2 days, please select 2nd Day Air to prevent chocolate from melting during the warmer months of May - October.